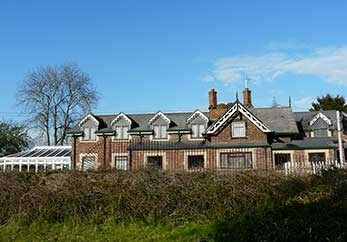 The Old Station luxury bed and breakfast accommodation near Shrewsbury, Shropshire. The 4 star Old Station Guest House B&B is set in the heart of the Shropshire countryside less than 10 minutes drive via country roads from the historic county town of Shrewsbury, the central hub of Shropshire. It is situated adjacent to the Bomere Heath cricket ground with the village of Bomere Heath only half a mile away with its local amenities of a small Co-op supermarket/newsagent, a post office, a hairdresser and a fish & chip shop. 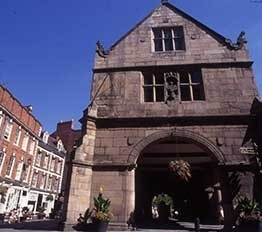 From here you can visit many places of interest in Shropshire, Cheshire and the Welsh Borders. 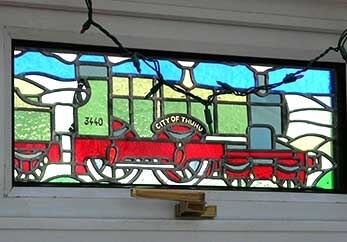 It is also located on the Shrewsbury to Oswestry bus route. There is a public footpath into the village. It is accessed from the cricket ground car park. 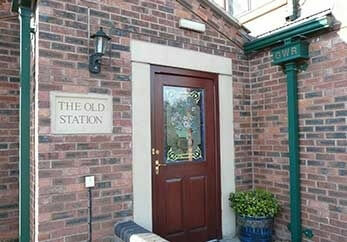 The Old Station Guest House B&B in Shrewsbury offer residents FREE PARKING for their large and small vehicles within the extensive grounds of The Old Station Guest House B&B. 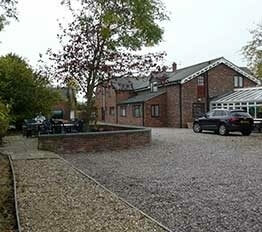 You could leave your vehicle in our car park and catch a bus from the end of the driveway. This former railway station, built in 1847, has been lovingly renovated and enlarged to provide beautiful deluxe accommodation, having 6 unique en-suite guest bedrooms (see accommodation page). Your chosen breakfasts and pre-ordered evening meals are cooked to order and are served in the dining room which was the original station waiting room and an extension onto the platform. The guest sitting room was originally the booking office. When the sun is shining you can also sit outside on the platform or one of the two patio areas. Wi-Fi is offered FREE of charge at The 4 star Old Station Guest House. Also for our guests’ enjoyment is a selection of books of interest and a cards/chess/backgammon table. Please take a look around our website, read about our history and view our photos. 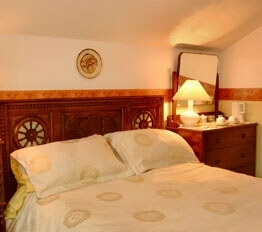 Do not hesitate to contact us with any questions you may have or to book a room at the Shrewsbury B&B. If you need more information about places you may wish to visit in the area, we will be pleased to help you in any way we can. Should your request be urgent please telephone in the first instance. A telephone call to 01939 290905 will secure your booking more quickly and you may be offered a better rate than booking via email. Enjoy dinner and eat from Minton bone china using Vileroy & Boch cutlery and drink from crystal glasses. 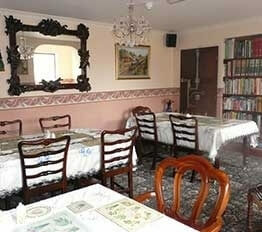 Looking for somewhere different for your special occasion? Call us to discuss how we can help organise your event. Relax in one of 6 luxurious bedrooms named after GWR Steam Engines, each with en-suite shower rooms.